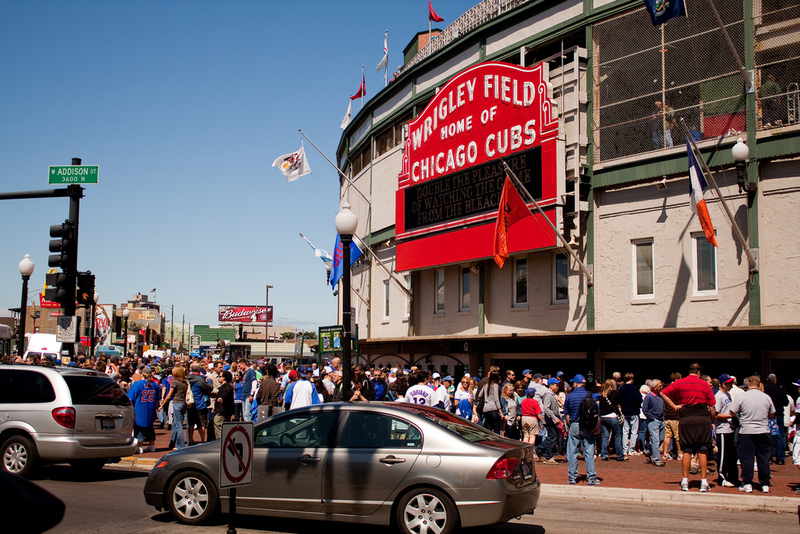 CHICAGO, IL—As part of a promotional event for tonight’s game against the Cincinnati Reds, Wrigley Field will be giving away Cubs metal pee buckets to the first 10,000 fans to enter the ballpark. “We continue to look for ways to make a trip to the Friendly Confines more enjoyable for our fan base, and these limited edition pee buckets with the Cubs logo embossed on the side should prove to be very popular,” said Cubs owner Tom Ricketts in a press release. According to sources, each metal pee bucket will be large enough to hold several Old Styles—if fans want to use it as a cooler during the game—or up to a gallon of urine. Wrigley Field employees will also be handing out certificates of authenticity for each bucket should the fans wish to sell the urine soaked pails as collector’s items after the game. “This is only the first of several promotions this month. This weekend vs. the Padres, we’ll be handing out Cubs Nalgene bottles, which fans can drink out of or pee in.” At press time, reporters indicated that there was a mix-up in shipping and there are only 5,000 buckets available tonight. You can always pee next year. I’m sure you can rinse them out 🙂 Thanks for reading!